The Most Strategic Places For Your Smoke Detectors Are Not on the Ceiling! Home » Library » Articles » Home Improvement » Security and Safety » The Most Strategic Places For Your Smoke Detectors Are Not on the Ceiling! Smoke detectors have a very important place in the home. Did you know that most people site them in the wrong place? Read on to learn where the absolute best places are to site them and learn where most people forget to put them. We all know how important smoke detectors are and what they are used for. Because of their ability to warn us about the impending danger from fire, it is sensible to have one installed in every room of your home if possible. Most people believe that the best place and the most strategic location to install a smoke detector is on the ceiling since smoke usually rises. Not all smoke heads up to the ceiling. Take for example some deadly gases like those from burning foam in couches. However, not all smoke heads up to the ceiling. Take for example some deadly gases like those from burning foam in couches. They actually head up to the top ceiling level, forcing the smoke to gather almost 12 inches below the ceiling and out of reach of the smoke detectors. The gas will stay at the ceiling level and the smoke being below the gas will result in a smoke detector in the ceiling not detecting the fire at all. That is why it is most ideal to place smoke detectors on the wall around 12 inches below the ceiling. Some of the best strategic places to put your smoke detectors are the bedrooms, the living room, the top of the stairway and if possible on every floor of your home. Most homeowners don't think to put one in an attached garage. It is imperative that you place one in an attached garage as well so that you will be warned if there is a smoke in the garage. 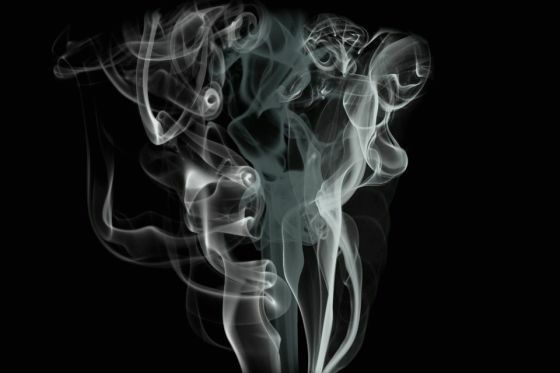 Sometimes, spilled oils and gas in a garage can spell trouble, which gives you all the more reason to install a smoke detector for the safety of your family. Siting the units close to areas where you have a lot of electrical equipment like computers, televisions and home entertainment is also a good idea. Some of the best strategic places to put your smoke detectors are the bedrooms, the living room, the top of the stairway and if possible on every floor of your home. When you are installing one in the kitchen, make sure that it is away from the stove as the smoke from cooking can sound off the alarm. Ionization detectors are more sensitive than photoelectric detectors and could sound off even with just the smoke from cooking so it is better to install a photoelectric detector in the kitchen. This will prevent you from needing to turn off the alarm whilst cooking. There are some reported cases of house fires that start in the kitchen without the alarm sounding off because it is turned off by the homeowner while cooking and they regrettably forget to turn it back on. If you want the best home protection you should use hardwired smoke detectors instead of the battery operated alarms. This is because of the possibility that the battery may run out without you even realizing it. With a hardwired detector where you are not betting on the safety of you and your family on the lifespan of a battery. However, when there is for instance a power cut and no electricity the hardwired detector may not sound off. So for your maximum home protection you should use the hardwired detectors and battery operated detectors as back-up. Combined hardwire and battery units are available in shops and on the internet. » Is it Time to Change the Locks? 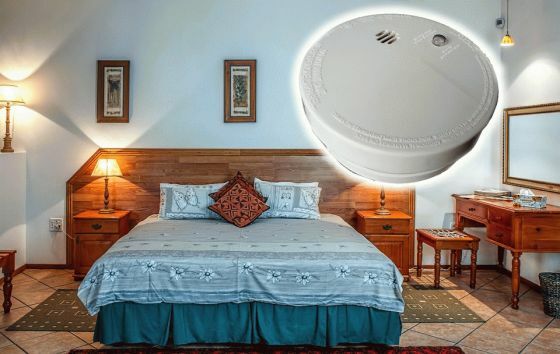 » The Most Strategic Places For Your Smoke Detectors Are Not on the Ceiling!